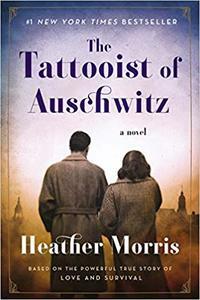 Wilton Reads Begins March 5 with Heather Morris' "The Tattooist of Auschwitz"
The Wilton Library welcomes all community members to come together to read, discuss, and reflect upon The Tattooist of Auschwitz by Heather Morris for its 13th Wilton Reads event. Wilton Reads has provided an opportunity through fine literature to sharpen our view of ourselves and the world around us. This year’s community-wide read will bring an exploration of the Holocaust through insightful programming and a collaboration with the Wilton Public Schools. To encourage readership and to kick off the Wilton Reads 2019 program, 200 paperback copies of the book will be distributed to community members on a first-come, first-served basis, one per person on Feb. 27 from 10 - 12 p.m. and 6:30 - 7:30 p.m. while supplies last. The library also has copies of the book in large print, eBook, eAudiobook, and audiobook on CDs. Programming will include book discussions, a documentary film screening, a history lesson, a concert, and more beginning March 5, all culminating in the author talk in-person with Heather Morris on April 11. Click here for all Wilton Reads 2019 details, helpful links and registration information. Heather Morris is a native of New Zealand, now resident of Australia. She was introduced to an elderly gentleman who "might just have a story worth telling." The day she met Lale Sokolov changed both their lives. Their friendship grew, and Lale embarked on a journey of self-scrutiny, entrusting the innermost details of his life during the Holocaust to her. Morris originally wrote Lale’s story as a screenplay – which ranked high in international competitions – before reshaping it into her debut novel, The Tattooist of Auschwitz. Wilton Library is located at 137 Old Ridgefield Road in Wilton, Conn. For more information, visit wiltonlibrary.org.